I frequently get asked to review or promote products on my blog. And it's always weird. I want to. But I always worry about how it will be perceived. I don't want it to seem fake and forced. Between now and Christmas I'm going to be telling you about some products I love, that just might make good gifts... not because I have to, but just because I want to! The first one is Krafty Kash. A while back I purchased a necklace from her just because it was calling my name. 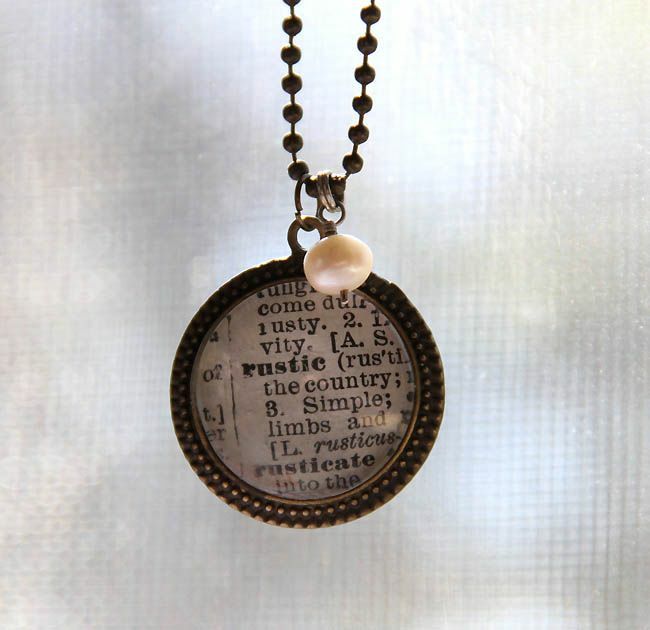 It's made from a vintage dictionary page, and she can find just about any word you'd like! I love that it's long at 24". 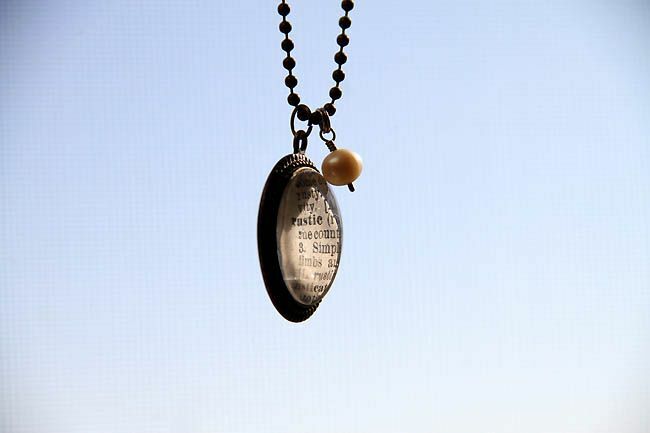 I wear it layered with my own stamped jewelry, or a string of fun colorful beads. I added the pearl myself. Just because I love them. 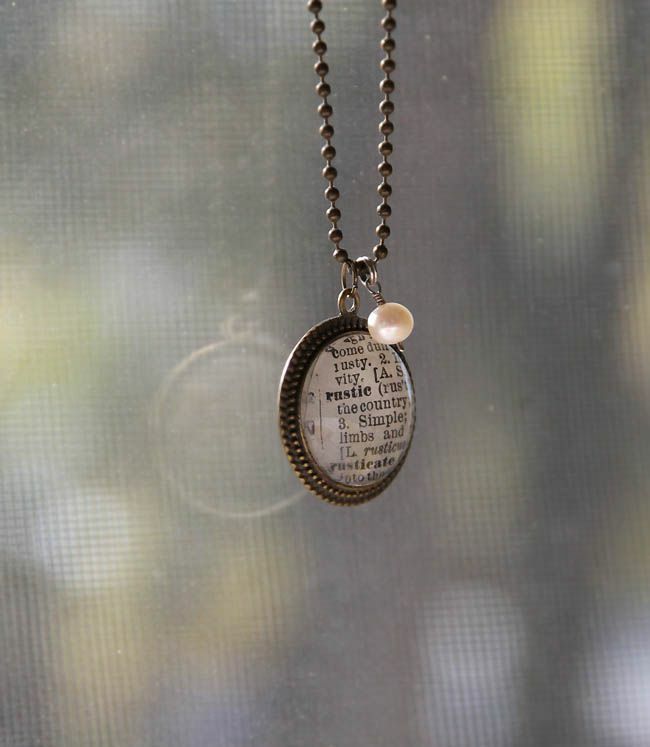 And it goes so well with the vintage brass color of the necklace. You could pick a word that's meaningful to you, a scripture, or even your state! You can also enter code rustedchain for 20% off! Click here to shop. *KraftyKash did not pay me or sponsor this post in any way. I love this! Thanks for sharing..
What a cute gift idea! Thanks for passing it along!